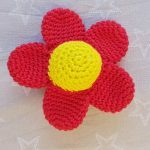 After showing you my Mobile Flowers and Bees for the past few days and the instructions for the bees , even online, you want to finally publish the instructions for the flowers in 3D today. 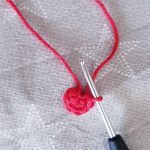 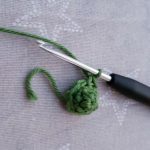 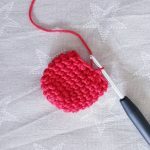 The flowers can be crocheted with or without a stem. 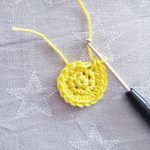 The idea with the stems was actually only created because I did not want to hang the flowers colorless from the mobile. 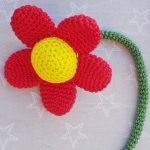 But finally, have fun while crocheting the flowers in 3D. 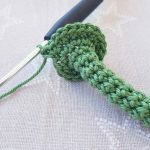 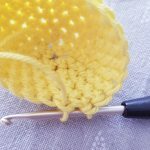 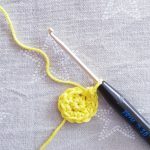 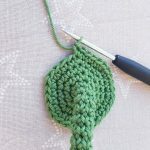 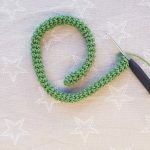 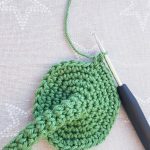 The flower center is crocheted as a ball in spiral circles, so there are no slip stitches at the end of a round. 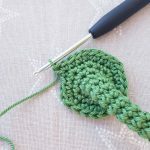 If you want, make a lap marker in the beginning of each round. 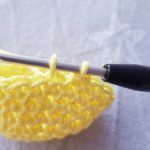 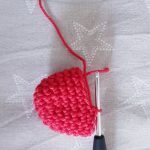 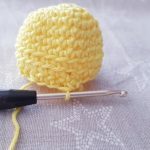 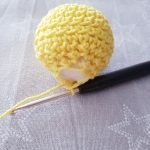 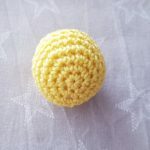 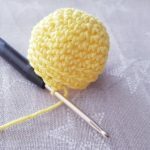 It’s true that these single crochet are now crocheting a line in the ball, so to speak. 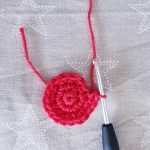 This makes it easier later to sew the petals evenly and centrally to the circle. 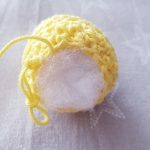 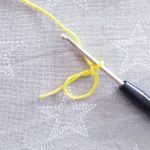 Pull out the thread a little and fill the ball with cotton wool. 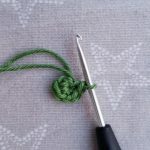 Cut the thread and sew the hole in the middle. 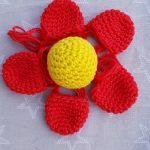 The petal must be crocheted 5 times. 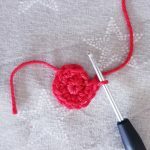 Cut the thread a little longer and sew the petals to the ball. 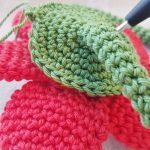 Make sure that the flower petals are not filled with stuffing. 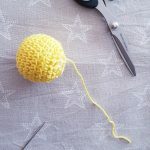 It may be that you do not need 36 stitches, but can stop earlier. 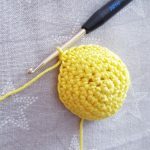 You have to decide that individually. 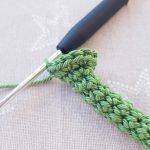 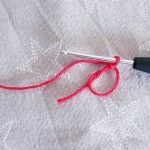 At the end of the last lap you work a slip stitch and cut the thread a bit more generously. 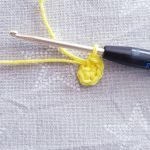 Now we sew the stem over the yellow surface of the flower.